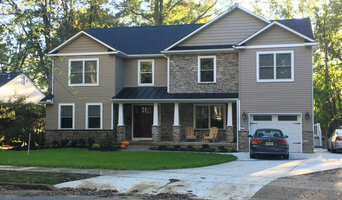 Wilkinson Remodeling is a fully insured, family owned and operated home remodeling business located in the heart of Chester County. After years of experience working for others in home remodeling and restoration, Don Wilkinson decided it was time to set off on his own. 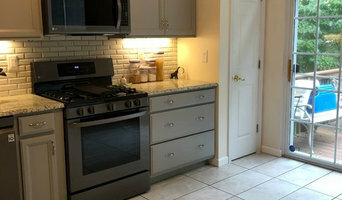 Since 2006, Wilkinson Remodeling has been a trusted and well-respected, home remodeler. At Wilkinson Remodeling we are passionate about our work and continue to reinvest in ourselves through continuous training, education, and support groups. Mission – Deciding to build or remodel a room is a big decision, we understand the excitement and stresses that homeowners can experience when you embark on any type of remodeling, so we keep customer service and satisfaction at the forefront of every project. Our goal is to make your project and process smooth and stress free through communication, patience, and attention to detail from start to finish. Integrity is More Than a Word Your house is more than your home. Your house is the place where you experience your greatest joys, raise your family and live your life. Trusting someone to come into your home and change it takes a leap of faith. To do the job correctly, you need someone with Integrity. Peter Mergen established Mergen and Company over 44 years ago, and has since transformed hundreds of homes in his community. If you were to speak to each of your neighbors who have worked with Peter, they would all agree that beyond the talent of the workers and the responsiveness of the craftsmen, they would mention the integrity of the Mergen team. It’s a part of a relationship often overlooked by others, but it is the foundation of Mergen and Co. Our clients tell us that we listen and ask the right questions, we communicate in a clear and timely manner and we de-mystify the remodeling process with good planning, good systems and clean competent people, who are a joy to work with and have in their home! At American Made Renovations, we work hard to get your business…and keep it! We believe it’s important to create honest, updated and clear communication between you and our team. In fact, each job has a dedicated Qualified Superintendent, overseeing every detail. From beginning to end, we provide you with a comprehensive construction estimate, assistance in choosing the proper materials and post-construction cleanup and final punch-list. And, most importantly, we treat your home with the care and respect it deserves. 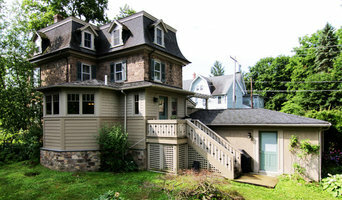 Far Hills Design Build is the renovation, remodeling and addition division of TJC Companies. Our team believes our chief responsibility is to consistently exceed your expectations. Known for superior results, we are firmly dedicated to ongoing training and education in unparalleled design, planning, project management, and execution: all of our projects exceed the highest design and construction standards. We can provide you with a contract with full specifications and a final number to complete the project. We also offer a construction management service, where a management fee is charged over the costs, and all costs are shared with the customer. 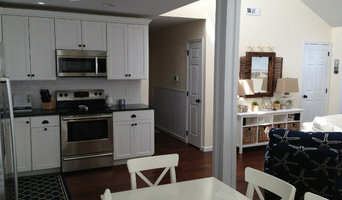 Colorful Remedies is a full service Home Remodeling Company. 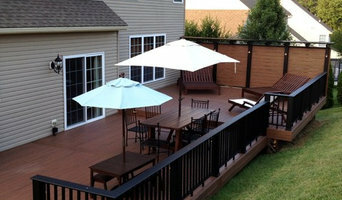 We specialize in Interior and Exterior Painting, Interior and Exterior Design, and Custom Carpentry and Remodel products.